Farmboy takes the time-honored tradition of Wood-Smoked Meats (aka barbecue) – and blends it with the quintessential sandwich/sub. 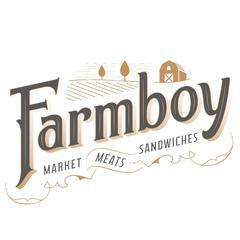 Guests at Farmboy enjoy authentic Smoked Meats and Sandwiches, in a rustic and comfortable environment. Our restaurant is designed specifically to ensure an engaging dine-in experience, or a quick and efficient carry-out experience. Our meats are primarily smoked or grilled, using Sustainably Sourced Arizona Oak & Mesquite wood, and by practicing the “low and slow” approach to barbecue we can ensure a tasty product every time. The traditional culinary elements of Farmboy are accentuated by locally sourced ingredients, with meats from animals that are raised and butchered nearby. Artisan, long-fermentation breads are baked on site, utilizing Heritage grains grown in Arizona. Our fresh fruits and vegetables are grown by local farmers and are typically harvested right before they are delivered, and can often be found in our indoor farmers market section that highlights seasonal produce year-round.<br><br><br><br>Farmboy highlights the best of Arizona; with an emphasis on excellent quality, and a menu that appeals to all diners. However, behind the menu lies a deep-rooted passion for building the local family farm economy, and bringing farmers and producers together with their community.